This USB data logger records over 250,000 temperature readings in one or more sessions for up to 1 year. It has user-programmable audible alarm thresholds with highly visible confidence/alarm LEDs. Inside the rugged IP67 / NEMA 4X case, buttons for start, stop and restart and a graphic LCD with on-screen menus provide real-time analysis of data as a summary or as a graph. EasyLog software enables quick configuration and data download via the USB port. Supplied with two batteries, USB cover, Mounting Clip and Micro USB cable. 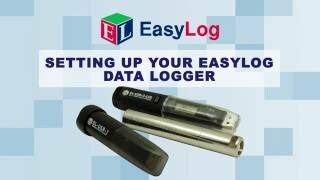 Set up and data download of our EasyLog data loggers is enabled by our EasyLog software. Download the latest version from the link below.